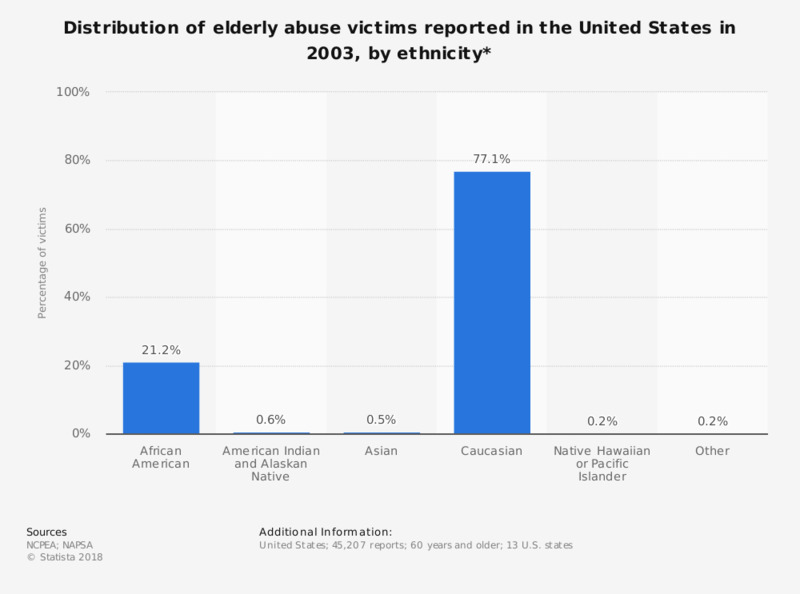 This survey displays the distribution of reported elderly abuse victims in the United States as of 2003, by race/ethnicity. During that year, about 21.2 percent of elderly abuse victims were African American. Neglect can be defined as the refusal or failure to fulfill one's obligations to an elderly person and includes paying for necessary home care services. Many cases of elderly abuse remain unreported and thus, may be massively underestimated. * Only 13 states provided data on race/ethnicity.